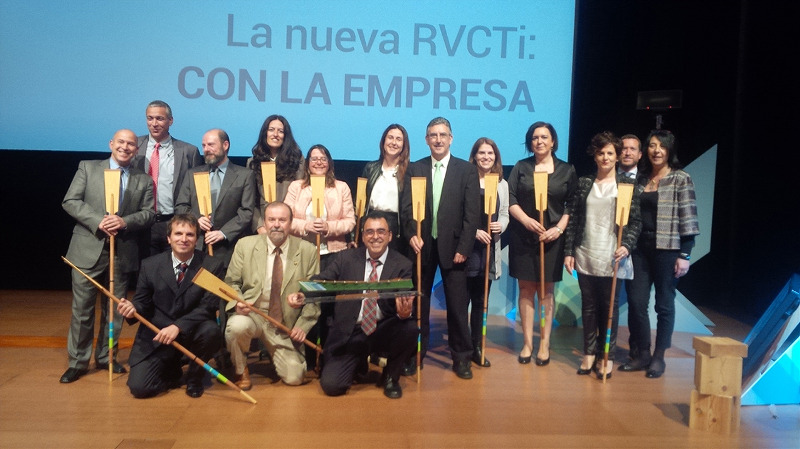 On behalf of CIDETEC, Virginia Ruiz received the oar that symbolises the teamwork under which the project took place. The ceremony took place within the workshop "New Network with the company", organized by the Department of Economic Development and Competitiveness of the Basque Government, with the aim that the Basque Government, companies and technology agents collaborate more closely for a more efficient R & D system. The ACTIMAT project on new materials for smart specialization strategy in Advanced Manufacturing earned the highest rating of the ELKARTEK 2015 call for its implementation in strategic sectors, level of scientific and technological novelty, its scientific impact, the development of research of its participants and their orientation towards potential business cooperation.